Chandana Art Foundation International in association with The School of Ancient Wisdom, facilitate and enable the rural students interested in Drawing and Painting by motivating, inspiring by providing free art education. 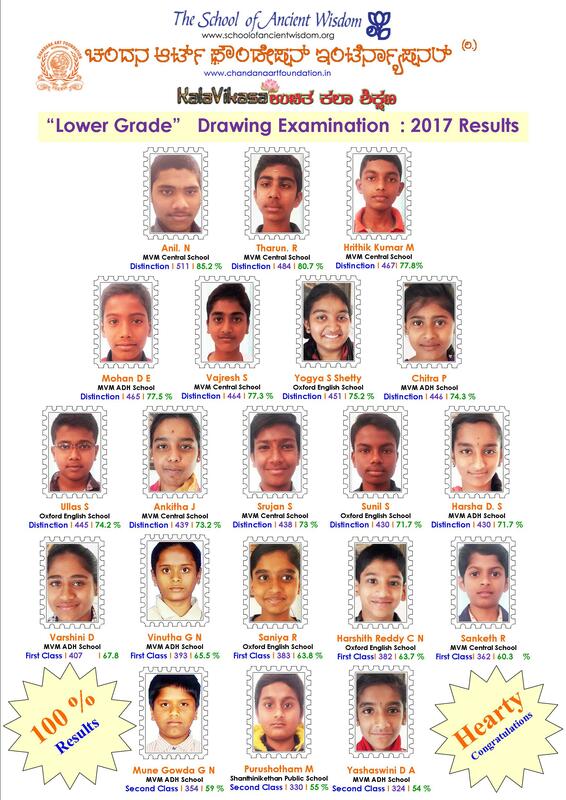 It has been our mission to facilitate the students to attain their educational goals, enhance their performance in Drawing Examinations of Grade [Lower / Higher] conducted by Karnataka Secondary Education Examination Board and get certified his / her talent in arts. First Batch of "Kala Vikasa : Free Art Education" classes were inaugurated by Shri Mahantesh A Kanthi, Assistant Director for Public Instruction, GOK. Presided by Shri S.D. 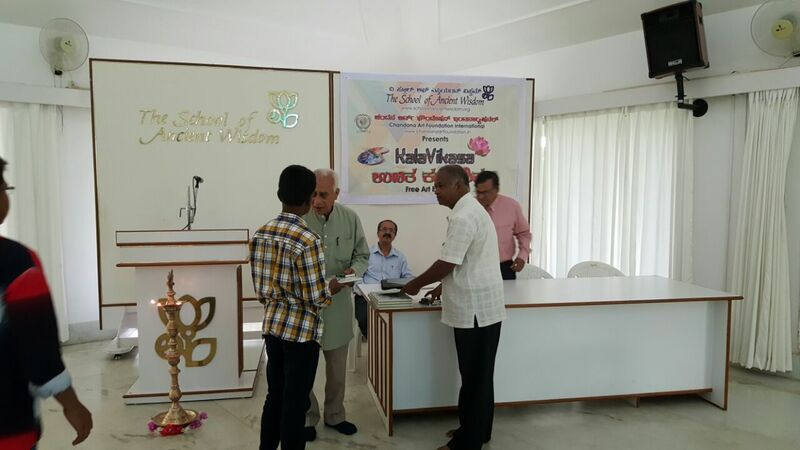 Janakiram, Former General Manager of Hindustan Aeronautics Limited and in the august presence of Shri Menon Kalathil Ramakrishna, Managing Trustee of The School of Ancient Wisdom and Shri K.Venkatesh of Chandana Art Foundation on Sunday, 5th June 2016 at The School of Ancient Wisdom. 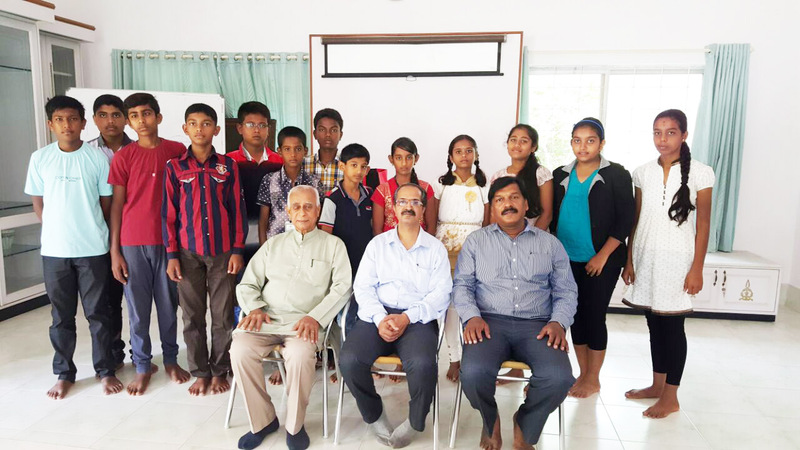 Twenty Students from five rural schools in and around Devanahalli were abosorbed into this Art Program. First Second batch of "Kala Vikasa : Free Art Education" classes will be inaugurated by Shri Mahantesh A Kanthi, Assistant Director for Public Instruction, GOK. Presided by Shri Menon Kalathil Ramakrishna, Managing Trustee of The School of Ancient Wisdom and Shri K.Venkatesh of Chandana Art Foundation on Sunday, 15th July 2017 at The School of Ancient Wisdom.